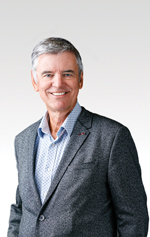 Professor John Hattie is an award-winning education researcher and best-selling author with nearly 30 years of experience examining what works best in student learning and achievement. His research, better known as Visible Learning, is a culmination of nearly 30 years synthesizing more than 1,500 meta-analyses comprising more than 90,000 studies involving over 300 million students around the world. He has presented and keynoted in over 350 international conferences and has received numerous recognitions for his contributions to education. His notable publications include Visible Learning, Visible Learning for Teachers, Visible Learning and the Science of How We Learn, Visible Learning for Mathematics, Grades K-12, and, most recently, 10 Mindframes for Visible Learning. Learn more about his research at www.corwin.com/visiblelearning.